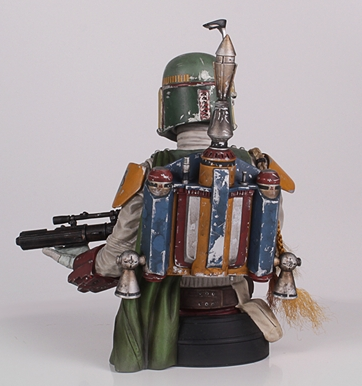 Boba Fett, the Bounty Hunter has developed an unbelievable cult following over the years since the release of The Empire Strikes Back. 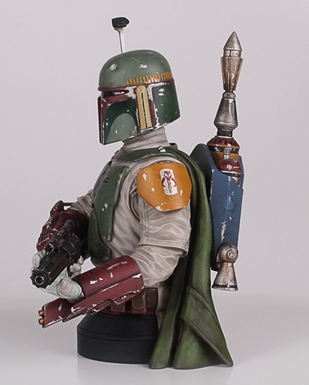 It's only proper that Gentle Giant honor this iconic character with a bust befitting his status. 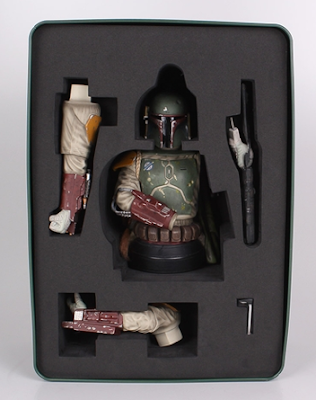 Crafted by the master artisans of Gentle Giant Ltd., this bust redefines the term "Deluxe." 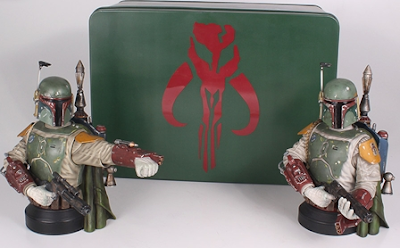 Packaged in a gorgeous tin emblazoned with the insignia of the feared Mandalorian Mercenaries, the Deluxe Boba Fett Mini Bust features multiple interchangeable arms, allowing collectors a wide range of dynamic poses. 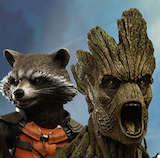 This limited edition bust will be available only at San Diego Comic Con 2013. 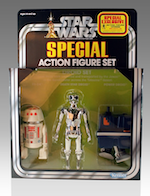 Each bust is hand-painted and individually numbered and comes with a matching certificate of authenticity. 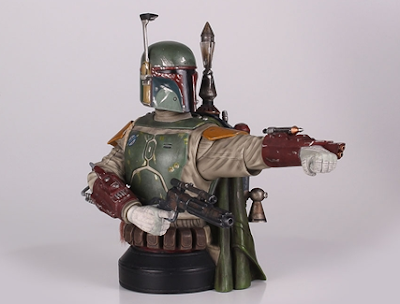 The Boba Fett Deluxe Mini Bust SDCC Exclusive is limited to only 2500 pieces. 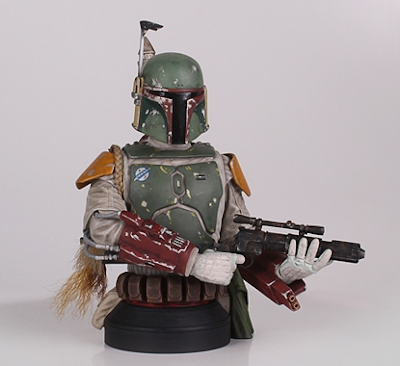 PGM members can now pre-order the Fett through Gentle Giant.